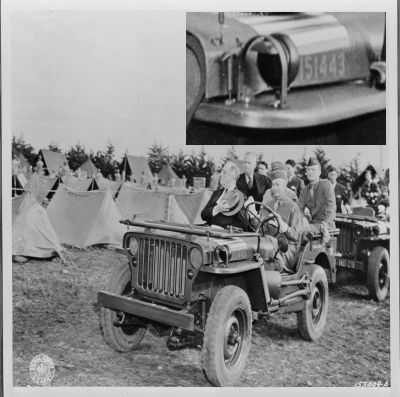 The blackout driving beam was designed to aid the driver in driving at night while limiting the ability of the enemy to spot the vehicle. 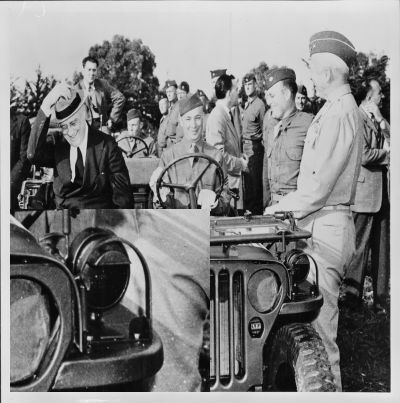 President Roosevelt took a trip to Casablanca to meet with Prime Minister Winston Churchhill. In this picture you can see the dinstinctive D shape of the so-called “late” Blackout Drive Light. 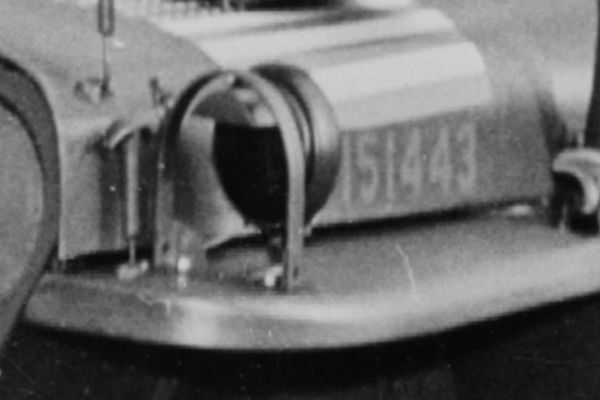 Close up of the BODL installed on the President’s jeep.